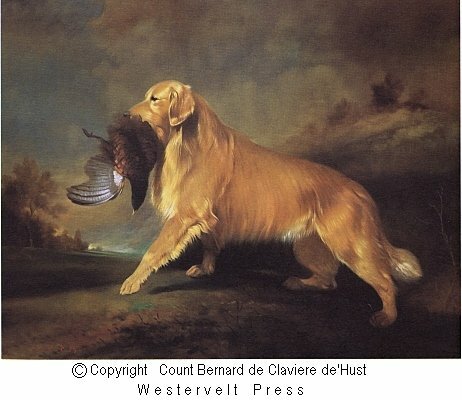 Dog Prints, Golden Retriever,Count Bernard de Claviere d'Hust," Proud Majesty's Meed "
"Working Dogs of the World"
View the "Print status and information page". material in any form without the express permission of the copyright owner is strictly forbidden. This print is part of the "Working Dogs of the World" edition which includes the following dogs. Golden Retriever, Yellow Labrador Retriever.